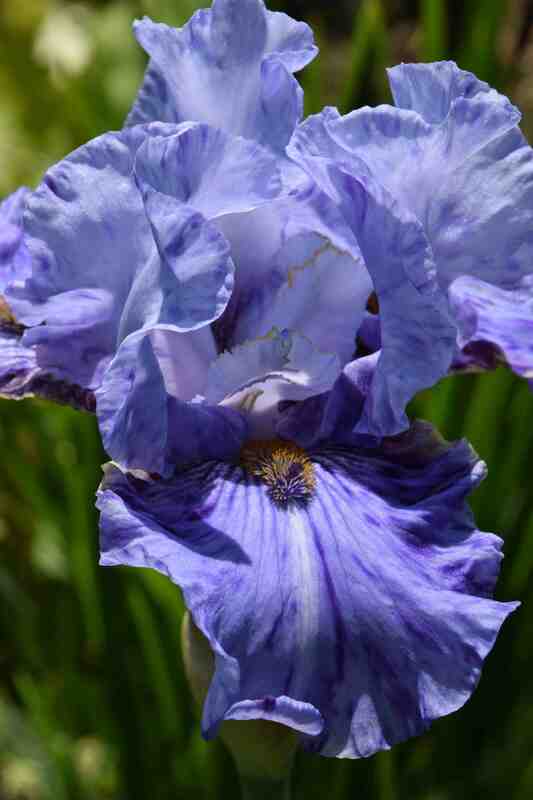 The king of ‘broken colour’ iris is Brad Kasparek of Zebra Iris Gardens. 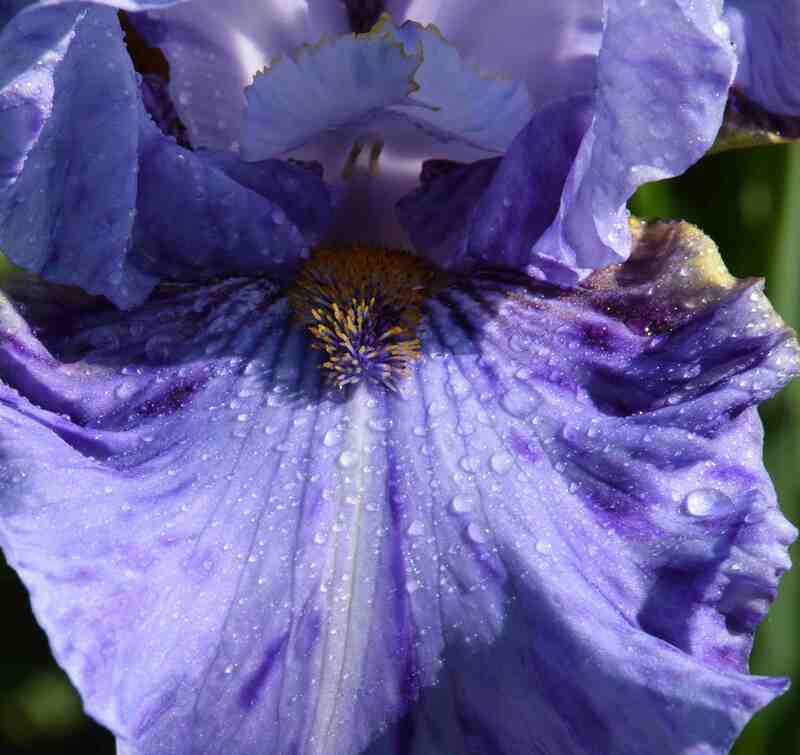 He specialises in iris with streaks and splashes and his first introduction was ‘Tiger Honey’ in 1993 and blue ‘Gnu’ soon after. Since then he has introduced more than 100, mostly with quirky names, often with African or animal connections, that match the uniqueness of the flowers. But he is not the only one to dabble with odd-coloured iris and ‘Broken Pattern’ is from the brilliant Paul Black, introduced in 2004. It is superficially similar to, but more subtle, and loftier than, the much more common ‘Batik’ which is a Border Bearded iris raised by Allan Ensminger (1985). ‘Batik’ has neat, tailored flowers erratically streaked white on deep blue and grows to 65cm. 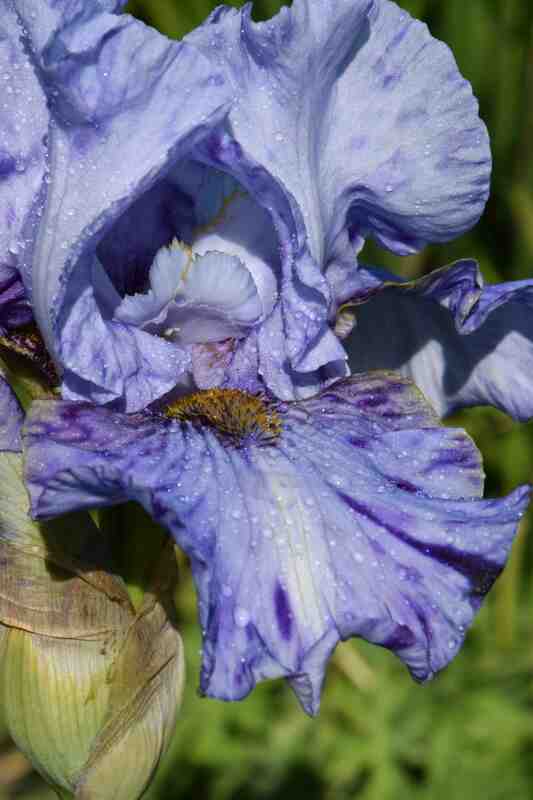 ‘Broken Pattern’ is a Tall Bearded iris and flowers at 85cm. It was introduced in 2003 and is, perhaps, a good place to start if you are not sure if you like such oddly coloured flowers. The blooms are moderate sized and a lovely light violet blue with darker streaks that are most pronounced when the flowers first open but fade a little as the flowers age. The bronzed beards match the tips of the style crest in colour. The stems are good enough to hold the flowers well and it grows moderately fast. The flowers have a light, sweet scent. It owes its looks to Brad Kasparek, being a hybrid of his ‘Gnu’ and Schreiner’s inky ‘Hello Darkness’. In the garden it makes a great splash of blue but rewards closer inspection with its unique patterning.